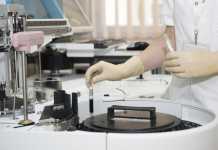 CMC Ludhiana M.Sc Nursing Application Form 2019 – Candidates will obtain the M.Sc Nursing application form from the official website www.cmcludhiana.in as per schedule or from the link that is provided below. Candidates have to fill their application in all respects on or before the last date of application. Candidates are advised to must read the instruction before filling the Application form. Candidates can get complete detail of CMC Ludhiana M.Sc Nursing Application Form 2019 from here. 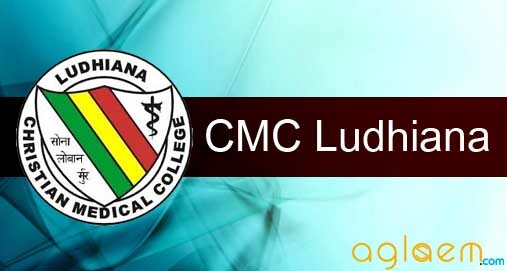 Application Form: The CMC Ludhiana M.Sc. Nursing Application Form 2019 will be available at official website. The application fee is Rs.3500/- (Rupees Three Thousand five hundred only) to be paid in Bank Demand Draft payable to Christian Medical College, Ludhiana Society drawn on any scheduled bank, payable at Ludhiana. The Application Fee Once Paid is not refundable. Application form completed in block letters with a photograph attached and signed by the applicant. Two copies of recent photograph of the applicant, passport size, full face, head and shoulders only. Applicant’s name should be written clearly in English on the back of each photograph, not on the front. Matriculation / 10th Class certificate containing date of birth & Detailed Marks Sheet. B.Sc. Nursing Post-Basic/Basic or equivalent degree certificate, detail marks sheets of the whole course. One year experience certificate in Bed-side Nursing and/or Community Health Nursing teaching experience before 7th September 2019. No Objection Certificate from the Employer (if applicable). For Christian Minority Candidates: (A) Baptism Certificate, (B) Confirmation Certificate (if applicable) and (C) letter from the Pastor about Church membership and denomination of Church with the address. (These photocopies will not be returned). The last date of submission of the completed application form, along with enclosures to the Registrar, Christian Medical College, Ludhiana is August, 2019. No application will be accepted after the last date. Insofar, official details of CMC Ludhiana MSc Nursing Admission 2019 have not been announced. Information on this page is as per last year brochure and for reference purpose only. As soon as CMC Ludhiana MSc Nursing releases CMC Ludhiana MSc Nursing Admission 2019 information brochure, details will be updated here.